Did you know that there are more than 10,000 state park areas in the United States? Collectively, they offer more than 52,000 miles of trails!! I know what you’re thinking though. But aren’t they kinda dull compared to the US National Parks? To illustrate why, I’ve partnered with several bloggers to share the most scenic state park in the US by state. States are listed alphabetically, but click a link below to jump to the section you’re most interested in. The most scenic state park in Alabama from Kimberly at RV Tailgate Life. Want a large state park, in the middle of the city that feels like it is hundreds of miles in the country? Then Oak Mountain State Park is a great state park for you. Oak Mountain is located in Pelham, Alabama, which is a suburb of Birmingham. It’s easy to get to, being right off I-65. But once you get inside the park, you’ll forget that you are even near a city. It’s so quiet; you won’t hear any road noise. Or see any light pollution. This makes it great for a quick getaway on the weekend, with 50 miles of hiking and mountain bike trails, lakes for fishing and swimming, and over 9,000 acres of camping and wildlife. Don’t forget about the golf course, the archery park, or the equestrian center. Or the wildlife rescue and rehabilitation center. It’s even got an RV campground. Oak Mountain is open year-round and offers visitors unique experiences in every season. There’s something there for everyone to enjoy. For more from Kimberly find her on Twitter. The most scenic state park in Alaska from Susanna at Wandering Chocobo. Alaska is an incredibly diverse state. With everything from temperate rain forest to arctic desert, the state parks in Alaska offer something for everyone. However, Chugach State Park is one of the most accessible and breathtaking parks in Alaska. As the third largest state park in the US, Chugach has miles of hiking trails, mountains, bike trails, ski trails, camping areas, recreational cabins, wilderness, wildlife, and glaciers. With Alaska’s largest city at its doorstep, residents and visitors to Anchorage can connect with nature just minutes outside the city. In the park don’t miss Flat Top, a popular hiking mountain with stunning views of Anchorage and the Chugach mountains, Rabbit Lake for wild camping, Portage Glacier for glacier viewing, Arctic Valley for berry picking, and the Eagle River Nature Center for an educational outdoor experience for the whole family. Alaskans share Chugach State Park with wildlife and within the state park, you have the opportunity to see moose, arctic ground squirrel, eagle, Dall sheep, beluga whales, beavers, and birds of all kinds. Black and brown bears are also common in the area and it is always best to adventure with caution. For more from Susanna find her on Instagram. The most scenic state park in Arizona from Cassie at White Sands and Cool Breezes. Catalina State Park is the most scenic state park in Arizona for so many reasons, but here are just a few! The park is home to Mt. Lemmon which, during the winter, will be covered in snow. It’s a favorite destination for families in the Tucson area to get out of the desert heat and experience winter! The park has great rustic camping areas and wonderful hiking opportunities. It also has the most southern ski resort in Arizona and the United States (Mt. Lemmon Ski Valley). One unique thing about Catalina State Park is that the higher you go, there is less desert and more evergreen trees (a reverse treeline, if you like)! For more from Cassie find her on Pinterest. Aside from Mount Magazine, Arkansas’ highest point, outdoor adventure and extreme sports draw visitors to Devil’s Den State Park. It’s one of only two parks to offer hang gliding launch areas! If hurling off the side of a mountain isn’t your thing, how about climbing up one? From rock climbing and rappelling to mountain biking and ATV riding, this state park is packed with adventure! Nestled in a the Lee Creek Valley, Devil’s Den is home to unique rock formations and the largest sandstone crevice area in the US. In fact, the large number of caverns, caves and crevices were used as hiding places for outlaws in the late 1800’s. No matter what sort of adventure you crave, there are 64 miles of trails and an eight acre lake for you to explore! Mountain biking enthusiasts enjoy the Huckleberry Mountain Trail and Fossil Flats Trail, which are some of the most challenging in Arkansas. In fact, the park started the first mountain bike festival int he state back in the 1980s and has hosted the Northwest Arkansas Mountain Biking Championships and Ozark Mountain Bike Festival for the last 28 years! The most scenic state park in California from Jyoti and Nirmal at Story at Every Corner. With 110 amazing state parks in California, I could write about at least 20 of my most favorite. But, I picked Henry Coe State Park because of it’s gorgeous wild flowers in spring, lovely hikes through mountains and meadows, along creeks and valleys. I can’t wait to visit Henry Coe this spring. However, it gets very hot in summer, so we head to the state or county parks on the western hills later in the year. Henry Coe is easy to get to from the San Francisco Bay Area. From 101, just take the East Dunne Ave exit in Morgan Hill, towards the hills. Henry Coe state park is up on the mountains past the beautiful Anderson Lake. Henry Coe has a variety of trails. There is something for every level of hiker and backpacker. For more from Jyoti and Nirmal find them on Facebook. The most scenic state park in Colorado from Danielle at Wanderlust While Working. Just outside of Boulder, Colorado, Eldorado Canyon State Park is nestled off a small street in the middle of nowhere. If you weren’t looking for it, most people probably wouldn’t even know how to get to the entrance. But this state park is quite the gem if you are a hiker or climber. There are trails with three levels of difficulty in the park, perfect for any level of hiker. We hiked the Fowler Trail, a relatively short, flat hike since we didn’t have enough time before sunset. We had stopped here on the way back from Rocky Mountain National Park and it ended up being one of our favorite spots of the trip. The best part about the trail though wasn’t the actual trail itself, but the rock climbers we saw scaling the face of the jagged rocks. We were fascinated watching these daredevils climb up the sheer rocks with relative ease. While I’d never attempt to climb something like that, I can imagine Eldorado Canyon is an expert rock climbers’ paradise! For more from Danielle find her on Pinterest. The most scenic state park in Connecticut from Alicia at Travels With the Crew. My favorite state park in Connecticut is Gillette’s Castle. It was the private home of William Gillette, an actor. Gillette gained fame in the early 1900s for his portrayal of Sherlock Holmes on stage. He decided to retire in Connecticut and began to design his retirement home. The castle was completed in 1919 and cost 1 million dollars. This 14,000 square foot home has a lot of idiosyncrasies befitting the real Sherlock Holmes. Some of my favorites include: the furniture that was built on tracks to facilitate easy movement, locks that are puzzles, secret passageways, and mirrors that allowed Gillette to see who was coming before they could see him. He even built his own 3 mile long railroad on his land! The castle is built overlooking the Connecticut river and has a magnificent view. It is surrounded by 122 acres of land which allow for a day of outdoor exploration. There are family-friendly hikes, picnic benches and even a riverboat. The castle is only open from Memorial Day to Labor day. The grounds are open throughout the year. Gilette’s Castle State Park is 3 miles away from another great state park, Devil’s Hopyard, where you can see the beautiful Chapman falls. For more from Alicia find her on Instagram. 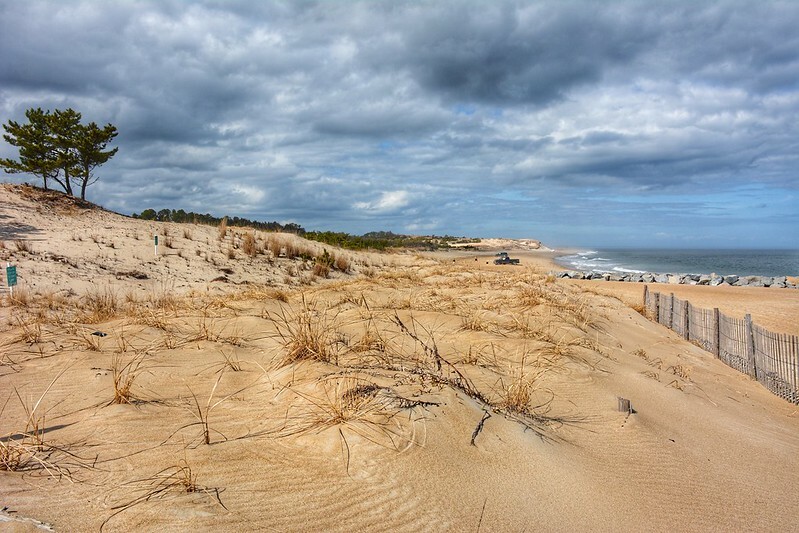 Nestled on the Atlantic coastline, Cape Henlopen State Park sits on what was a strategic location for the US Navy and Army during nearly every major war in the country’s history including the American Revolution, Civil War, and both World Wars. Visitors can see bunkers, barracks and other military remnants throughout the park. Unfortunately, the historic Henlopen Lighthouse that once guided ships now rests at the bottom of the Atlantic Ocean! But, the park offers more than just a history lesson! Explore the park by land and sea to get the full experience. On land, enjoy hiking, biking, camping (on pine-covered sand dunes!) and surf fishing. Grab a free two hour bike rental at the Seaside Nature Center. They are available on a first come, first served basis. Take to the water and try kayaking, paddle boarding, clamming and even windsurfing! The most scenic state park in Florida from Michelle at Simplify Live Love. Myakka River State Park, one of 27 state parks in Florida, is our personal favorite. Located outside of Sarasota, Myakka River State Park is one of the oldest and largest parks in Florida. From wildflower covered dry prairie to alligator filled wetlands, there are so many wonderful things to explore. Hiking, biking, camping, boating, canoeing, kayaking, birding, and photography are all activities families can enjoy at Myakka. The perfect way to explore the park includes a short hike to the Myakka Canopy Walkway, a pontoon boat ride on the Myakka River, and a cup of alligator stew or an ice cream cone at the Pink Gator Café. The first public treetop trail in North America, the Canopy Walk is a must see! Our kids love climbing up 25 feet to the 100-foot bridge walkway. The views of the tops of the pine and palm trees from the 74-foot-tall tower can’t be beat! If you haven’t visited this amazing Florida State Park, we encourage you to add it to your list! For more from Michelle find her on Instagram. The most scenic state park in Georgia from Lauryn at LE Travels. A little over an hour away from Atlanta is beautiful oasis called Amicalola Falls State Park. It’s set in the middle of the Blue Ridge Mountains in north Georgia which guarantees incredible views. When you arrive, head to the visitor center to grab a map and start on the trail leading to the crown jewel of the park, Amicalola Falls. At 729 feet, this is the tallest waterfall east of the Mississippi River. The roaring waters surrounded by the lush green forest makes for such a peaceful hike. Once you reach the falls, it’s a difficult climb up 425 steps to the very top where you’ll be rewarded with spectacular views of the Blue Ridge Mountains. A visit to Amicalola State Park is a perfect outing for the entire family including pets since the park is pet-friendly. The park is open 7:00 am – 10:00 pm every day and costs $5 per car to enter. For more from Lauryn find her on Instagram. The most scenic state park in Hawaii from Sarah at Cosmopoliclan. Akaka Falls State Park is located on the Big Island of Hawaii, near downtown Hilo and along the tropical Hamakua coast. A well-paved loop trail and several sets of stairs lead visitors through the fragrant and lush vegetation of this fern jungle. This state park offers viewpoints to not just one but two waterfalls. The first one is Kahuna falls, of which you can only see a glimpse. The second waterfall is Akaka falls plunging 442 feet into the gorge. It’s a spectacular sight. No need to rush it to the waterfall, though, because the scenery along the 0.4-mile loop trail is just as stunning thanks to the gorgeous orchids and huge ferns. The park is easily accessible and therefore allows even the inexperienced hiker to behold Hawaii’s untamed beauty. For more from Sarah find her on Facebook. Home to the tallest freestanding sand dune in North America, Bruneau Dunes State Park offers unique adventures both day and night. During the daytime, hike up 470 feet to the peak of the sand dune. Be sure to rent a sandboard from the Visitor Center so you can ride back down! Other popular daytime activities include horseback riding and biking the area surrounding the dunes and fishing in the lakes at the foot of the dune. But, save some energy for the nighttime! Bruneau Dunes has an onsite observatory with a telescope for stargazing. After you’re done stargazing, take some time to practice capturing the starry skies on your camera. Bruneau Dunes is the perfect place to practice your night photography skills! The most scenic state park in Illinois from Melissa at A Little Time and a Keyboard. 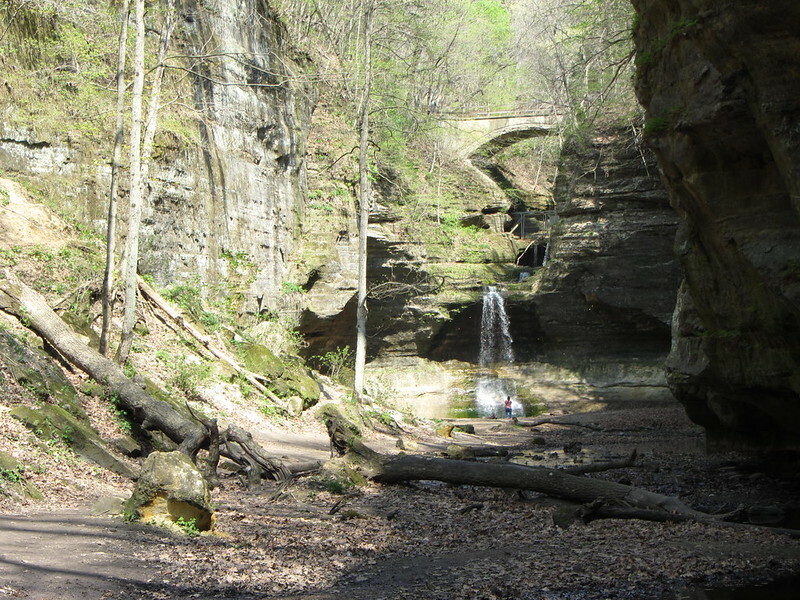 A landscape of canyons, waterfalls, a stream, ponds, caverns and rock formations creates a stunning and distinct environment for hiking and escaping the everyday at Matthiessen State Park in Oglesby, Illinois. A variety of hiking paths are available but some of the most interesting, and a bit challenging at times, rest on the canyon floor. While hiking along the canyon floor, hopping from spot to spot and navigating the stream are rewarded with spectacular views of waterfalls. Matthiessen tends to be a bit quieter than nearby Starved Rock. So, we prefer Matthiessen for a peaceful day of reveling in nature’s beauty. Dogs are welcome at Matthiessen but keep in mind you do have to take stairs to get to the canyon floor. There also are equestrian trails and plenty of spots for picnics. The waterfalls will vary due to rain, so each visit to Matthiessen is a truly unique adventure! We were entirely captivated by the magnificence of Matthiessen during our entire adventure. A park not to be missed! For more from Melissa find her on Facebook. Can you believe that “Bike” magazine named Brown County State Park’s mountain biking trails among the best in the country? Well, they did. Throw out your preconceived notions of Indiana because this park is filled with surprises. Explore the more than 18 miles of hiking and 28 miles of mountain biking trails in the “Little Smokies.” The park is packed with hilly terrain. Grab yourself a spot at one of the many viewpoints and enjoy the sunrise or sunset over the forest that seems to go on forever. The ninety foot tall fire tower is worth the climb, but not for the faint of heart. If you think the park is gorgeous during summer, prepare for your mind to be blown in the fall. The park’s trees light up with bright fall colors! The narrow and steep ridge that runs through Backbone State Park is referred to in folklore as “Devil’s Backbone.” With rugged cliffs that are more than eighty feet tall in some places, this park draws rock climbers and rappellers. The most popular climbing spots are near the Backbone Trailhead. But if rock climbing isn’t your thing, there’s plenty of other things to do at Backbone State Park. There are 21 miles of hiking and multi-use trails, which include ascending to one of the highest points in northeast Iowa. Electric motor boats are available to rent for use on Backbone Lake. The park is open year round! As the temperature cools down, visitors can enjoy the fall colors, cross-country ski and snowmobile in the park. Wilson State Park is located in the heart of the Smoky Hills region of Kansas. Mountain bikers love the more than 22 mile long Switchgrass Bike Trail, which is accessible from within the park. This trail winds along the shoreline of the more than 9000 acre Wilson Reservoir. But be sure to get off your bike and into the water. Take a dip in the reservoir or give kayaking, fishing or boating a try! Maybe it’s because I grew up in the Midwest, but I find grassy prairies so relaxing. Experience them along the Dakota Trail for this iconic view of the Kansas landscape. From a hoedown to a whole lot of sandstone rock formations, Natural Bridge State Park has something for everyone! For over 45 years, the Natural Bridge Hoedown has been a popular attraction at the park. On Saturdays from May through October you can learn Appalachian square dancing and other line dances (after a long day of enjoying the park, of course). For those that prefer being on the water, Natural Bridge State Park also has canoeing, fishing, kayaking, and paddleboarding. There’s even an electric motor fishing boat for rent! 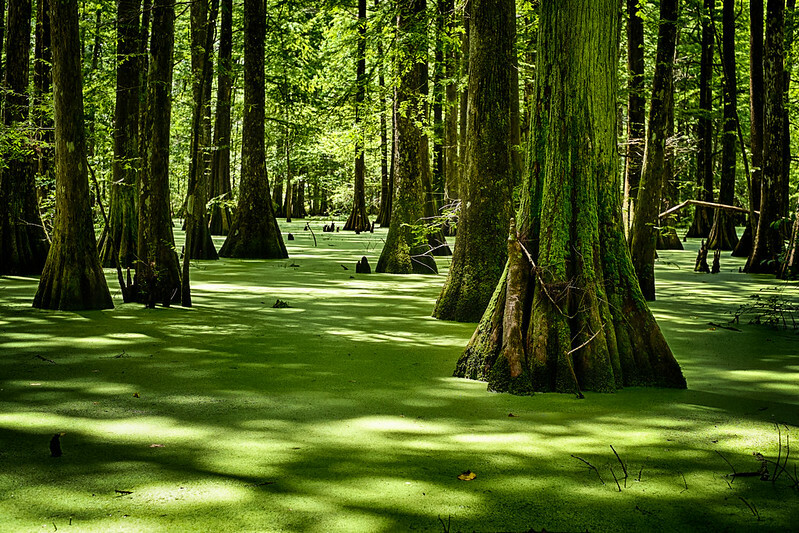 When I think of Louisiana, one image that comes to mind is dramatic cypress and tupelo trees rising out of a swamp with alligators lurking nearby. Maybe Chicot State Park was the inspiration for that mental image! But, the park isn’t just all swamp and alligators – there’s so much more. The park has an extensive network of more than 22 miles of hiking and backpacking trails that circle Lake Chicot. These include primitive campsites for the full backcountry experience. Lake Chicot is also known for amazing freshwater fishing. While you’re at Chicot State Park, be sure to stop by the Louisiana State Arboretum which is within the park boundaries! The most scenic state park in Maine from Ladona at Walking the Parks. When most people think of Maine it’s with visions of the rugged coastal towns, delicious lobster meals and picturesque Acadia National Park. Many miss the amazing heartland of Maine where you find high adrenaline white water rafting, hundreds of inspiring lakes, and beautiful mountain hiking. At the center of this is Baxter State Park. What drew us to Baxter State Park was Mt Katahdin, the final leg of the Appalachian Trail. A hike up this mountain has long been on my husband’s bucket list. It’s a strenuous hike climbing over man-sized boulders. The views above the tree line are astounding. Most of this 200,000 acre park is a designated Wildlife Refuge. Baxter State Park is a true wilderness. There are no amenities or potable water so come prepared to take care of yourself. Camping options abound with 10 rustic campgrounds (reservations suggested). We enjoyed a lazy afternoon fishing and canoeing on one of the many lakes. 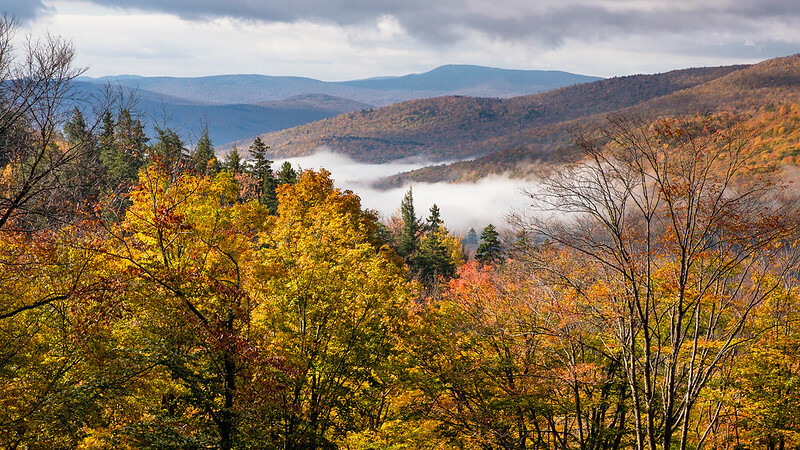 Famous for fall foliage, September and October are great times to visit. This park is also very active during the winter months with hikers, skiers and snowmobiling. The truly hardy are welcome to try winter camping and snow climbing. For more from Ladona find her on Pinterest. The most scenic state park in Maryland from Meredith at Chasing Abandon. As Maryland’s only oceanfront park, it doesn’t take much convincing to show that Assateague State Park is the most scenic state park in Maryland! Located along the barrier island Assateague Island, the park’s two miles of wide sandy beaches feel more like tropical island than mid-Atlantic coast. Assateague State Park is full of activities for everyone, and is open for day use or camping. Swimming, surfing, beach walking, fishing, and beach combing are all popular along the ocean side of the island. The calm bayside waters are popular for boating and crabbing. Kayak, canoe, and SUP rentals are available on site. Go out for a morning paddle, or try your hand at the endless fun of crabbing. The park’s Nature Center also has frequent interpretive programs for all ages. If the draw of beaches and activities isn’t enough, a special part of Assateague State Park is the wild horses who call the barrier island home. You’ll frequently see them walking the beaches and marshes in their small social groups, and they bring a very special, magical component to the windswept barrier island environment. For more from Meredith find her on Instagram. Experience Boston from a different perspective at Boston Harbor Islands State Park! This collection of 13 islands is accessible by ferry or private boat, though ferries officially only dock at six of the islands. Each island offers something unique to visitors, but the most popular for day visitors are Georges and Spectacle Islands. Spectacle Island has the highest point in the harbor. Hike to the top for sweeping views of the Boston skyline and harbor. After a day of hiking, relaxing on the beach, sea kayaking and more, enjoy some live music or an evening clam bake! Boston Harbor Lighthouse Cruise offers a two hour narrated cruise to three lighthouses in the bay as well. The most scenic state park in Michigan from April at Minivan Adventures. Looking for THE BEST state park in Michigan? Then, head up to Michigan’s Upper Peninsula for Tahquamenon Falls State Park. Outdoor enthusiasts of all ages and skill levels will find something to love about this park. Additionally, it is open year-round and offers a variety of seasonal attractions. Home to the state’s largest waterfall, the Upper Tahquamenon Falls is thrilling to behold. With paved trails leading to several outlook areas, this waterfall is easily accessible to anyone – even those assisted by strollers or wheelchairs. The lower falls are smaller and offer fun in a more interactive way. Several outlooks are easily accessible for gorgeous long distance views, or rent a rowboat to explore these small waterfalls up close. Additionally, you will find a lot of people – especially families—playing in the shallow slow-moving waters of the Tahquamenon River near the lower falls or further along the river. Serious hikers are thrilled to find over 40 miles of trails (including a portion of the North Country Trail), and all-weather outdoor enthusiasts appreciate that the park offers year-round seasonal attractions. The leaf colors are brilliant throughout the park in the fall season, and in winter, Tahquamenon Falls State Parks offers snowshoe and cross-country ski rentals along with views of unique ice formations near the waterfalls. For more from April find her on Facebook. Choosing the most scenic state park in Minnesota is like choosing my favorite pair of shoes. It’s nearly impossible. I was tempted to choose one of the many state parks along the North Shore of Lake Superior, but I feel an obligation to pay homage to one of the hallmarks of the state of Minnesota – Itasca State Park. Not only is Itasca the oldest state park in Minnesota, but it’s also the home to the headwaters of the Mississippi River. That’s right, the Mighty Mississippi starts as just a trickle of a stream before it makes its way 2552 miles south to the Gulf of Mexico. The park includes more than 100 (yes, 100!) lakes and 49 miles of hiking trails. This part of northern Minnesota is home to wolves, porcupines, and even black bears. Here’s a few tips on bear safety from my recent trip to Glacier National Park. But, seriously, while you’re in Minnesota you may as well visit several of the 75 state parks and recreation areas. Grab a Minnesota state parks passport to track your adventures (and even earn free nights of camping)! This park is nestled in the foothills of the Appalachian Mountains. From moss-covered boulders and gullies lined with ferns, it’s as if everything is covered in a blanket of green – a landscape unlike anywhere else in Mississippi. Explore it all on foot on the more than thirteen miles of hiking trails in the park. If you’re looking for a different sort of adventure, try rock climbing at Tishomingo State Park! Permits are available in the park office. Take a step back in time as you drive the famous Natchez Trace Parkway through the park. This highway was originally created in the early 1800’s, long before the area became a state park. But, if you go back even further (like to 7000 BC), Paleo indians inhabited the area. Learn all about archaeological excavations that have taken place in and near the park during your viist! So, the park name is a bit strange but in the most awesome way! “Shut-in” refers to a place where a river’s water flow is limited by rocks that tend to resist erosion. What that means is that this is basically a natural jetted bathtub or, in some places, a water park! Whether you sit and relax in some of the shut-ins or spend the afternoon playing in the rapids, be sure to bring your bathing suit. Johnson Shut-ins State Park also has 36 miles of hiking trails that wind through forest, rivers, and wetlands. The park also offers great backcountry hiking and camping in the East Fork Wild Area and Goggins Mountain Wild Area, which aren’t accessible by road. If you can tear yourself away from playing in the shut-ins, why not give rock climbing a try? Or go for a ride on the ten mile Goggins Mountain Equestrian Trail Loop. One thing’s for sure, you won’t be bored at Johnson Shut-ins State Park! This park’s unique name comes from a Lakota tribe phrase which means “bad land” and I can’t think of a way to more perfectly describe its landscape. I was fortunate to spend one night here on my drive back to Minnesota from camping in Glacier National Park. It’s unlike anywhere I’ve ever been. The dramatic rock formations come alive at sunset as the colors shift. So, grab a cocktail and enjoy the view from your campsite! Did I mention that there are real dinosaur fossils in Makoshika State Park?! Visitors can see the fossil remains of a Tyrannosaurus Rex and Triceratops! How cool is that? While you’re visiting Montana’s biggest state park, be sure to check out the hiking trails, outdoor amphitheater, mountain biking and archery field! And, if you’re able to camp there for a night, stay up late enough to enjoy the starry sky. I couldn’t take my eyes off of the full moon and the blanket of light it left on the rock formations surrounding my campsite. Get a taste of the Old West at Fort Robinson State Park. Every Thursday evening during the summer, visitors can enjoy a free rodeo, open to the public. The park’s rich history goes back to the early days of the Old West and is said to be the location of the death of Chief Crazy Horse. The former US Army fort was in operation until after World War 2. But, the park isn’t just about the Old West. There’s loads of outdoor adventures to enjoy! 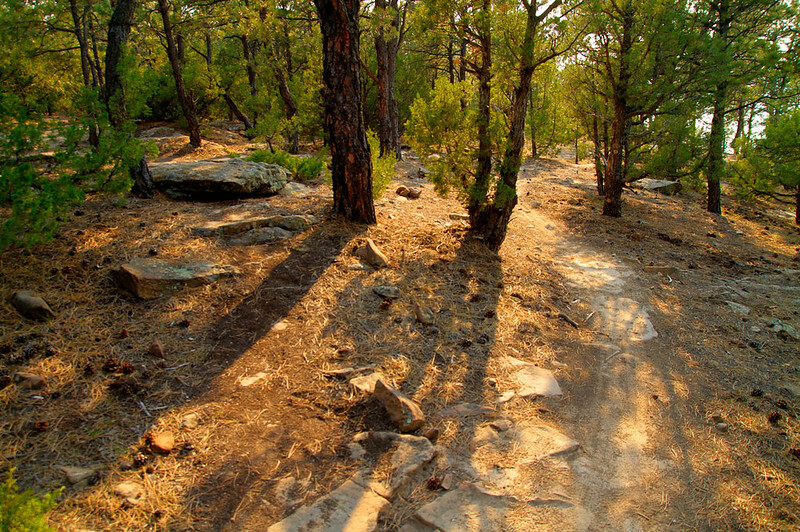 Fort Robinson State Park has 60 miles of hiking trails and 20 miles of mountain biking trails. Don’t worry if you didn’t bring your mountain bike with you, rentals are available at the Activity Center. Cool off at the end of the day with some kayaking, fishing, swimming or just floating in a tube on the White River. Kayaks and tubes are available to rent. The most scenic state park in Nevada from Kristen at Yonderlust Ramblings. There is still at least one secret left for visitors to the Las Vegas area – an escape to Nevada’s most intriguing state park, Valley of Fire State Park! A trip here is akin to visiting a Mars-like planet, with other worldly terrain, a myriad of colors, and rock formations that defy and bend the imagination! Valley of Fire State Park is located approximately one hour northwest of Las Vegas. It is the perfect extension of a trip to Vegas, or as its own standalone destination. The park contains miles of hiking trails that include features such as canyons, deserts, plateaus, petroglyphs, and unique rock formations, such as Elephant Rock, all bordered by a landscape streaked with desert reds, oranges, and purples. 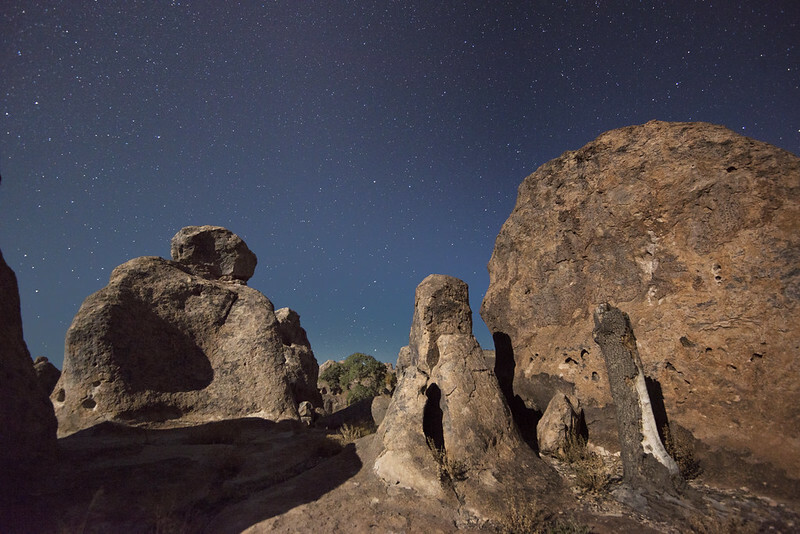 At night, visitors can camp in complete seclusion under an unfiltered, starry, desert sky that contains one of the best views in all the Southwest! For more from Kristen find her on Facebook. Want to hike part of the Appalachian Trail? Well, it happens to go right through Franconia Notch State Park. Located right in the White Mountain National Forest, this park has mountains, gorges, cliffs and a lake. Popular attractions include riding the aerial tramway over 2000 feet vertically to the summit of Cannon Mountain, swimming at Echo Lake, walking through Flume Gorge, rock climbing on Cannon Cliffs, fly fishing on Profile Lake, and mountain biking. The park offers bike rentals and a shuttle service. But the adventure doesn’t slow down in the winter. Franconia Notch offers adventures in every season. Put on your cold weather gear and explore the park on snowmobile, snowshoe or skis! If you want to take a little step back in time, check out Flume Bridge. This covered bridge was originally built in 1886 and is the oldest in the state! The most scenic state park in New Jersey from Melissa at Portly Passengers. Spread across two states, Washington Crossing State Park is where the pivotal events of the American Revolution took place on Christmas day 1776 when George Washington and the Continental Army crossed the Delaware River on their way to Trenton. The land on both the Pennsylvania and New Jersey side of the river was preserved and is maintained today to offer visitors with some great space to learn American history and enjoy nature. Throughout the year re-enactors give visitors the unique experience of interactive history on both sides of the river, culminating with the yearly re-enactment of Washington’s crossing each Christmas day. The New Jersey side of the park sits just on the other side of River road (Route 29), which leads you North into Lambertville, NJ or South into Trenton. Inside the park, two trails are dedicated to horseback riding and biking along with 11 walking trails. This includes the Continental Lane Trail, where visitors can experience the walk of Washington and his soldiers from Johnson Ferry House to Bear Tavern Road on their way to Trenton to beat the Hessians. I’m probably aging myself, but I can almost imagine Fred Flintstone living here. This “city” is essentially a one square mile volcanic rock formation, with columns up to 40 feet tall. Hiking paths between these columns mimic city streets, available for visitors to wander. Let yourself be mesmerized as you wander among these rocks that were formed some 35 million years ago. So what is there to do besides wandering among the rocks? Well, a lot! The park is located in the Chihuahuan desert region. It’s remote location is perfect for stargazing and night photography. There’s also a desert botanical garden in the park. Whether or not you camp in the park, be sure to enjoy the changing colors of the rocks at sunset. The most scenic state park in New York from Kris at Nomad by Trade. Though the Canadian side of Niagara Falls boasts the best views of the waterfalls, Niagara Falls State Park on the New York side allows you to get unbelievably close to the rushing water. It also happens to be the oldest state park in the US. Bridges span the narrower section of the river leading to the American Falls and take you to a series of islands in the middle of the river. Viewing platforms take you to the brink of each of the waterfalls, and you can even stand on tiny Luna Island that divides the American Falls from Bridal Veil Falls. Looking straight down the sheer drop is incredible, and you can really feel the immense power of the rushing water. Niagara Falls State Park is also the departure site for the iconic Maid of the Mist boat rides that take you close to the base of the falls. Visitors can purchase tickets to explore the Cave of the Winds, located behind Bridal Veil Falls. Admission to the state park is free, though there is a parking fee if you drive. The park is also open 24/7, so you can explore it at night and enjoy the views of the falls lit up. For more from Kris find her on Pinterest. The most scenic state park in North Carolina from Brooke and Buddy at Trailing Away. Rolling mountain views in every direction, challenging hiking trails, and the chance to be fully immersed in the majesty of nature. That’s what is waiting for you at North Carolina’s Grandfather Mountain State Park – named after the tallest mountain in this area of the Blue Ridge Parkway. This free-entry park boasts 12 miles of trails through quiet forests and along mountain ridgelines, many of which include ladders and cables to gain access to breathtaking viewpoints. A day in this park or a multi-day camping trip offers a beautiful mix of peace and adventure. But for those wanting the views without so much work, the nearby Grandfather Mountain attraction offers amazing views in and around their iconic Mile-High Swinging Bridge. For more from Brooke & Buddy Baum find them on Instagram. The name of Fort Ransom State Park is a bit misleading. The actual fort was operational in the late 1800’s but disappeared many years ago. Today, the park offers more than 20 miles of wooded hiking trails with access to activities on the Sheyenne River. These include canoeing, kayaking, and fishing (rentals available). The North Dakota winters bring lots of snow that makes the park an excellent place to go cross-country skiing, winter hiking and snowmobiling. One unique aspect of the park is its celebration of homesteading. While the exhibits are up year round, the main event is the annual Sodbuster Days. This event is held each July and features all kinds of homesteading demonstrations, live music and other entertainment! The most scenic state park in Ohio from Tonya at Travel Inspired Living. With so many incredible options, it’s difficult to choose the most scenic state park in Ohio. There are so many that could be on this list; Hocking Hills, Mohican, and Malabar Farm are only a few that come to mind. But, I’d like to share one that may not be as well-known. Deer Creek State Park is about 30 minutes south of Columbus, so it is centrally located for much of Ohio. With hiking trails, a lake with beach access, swimming, boating, kayaking, paddle boarding, fishing and even activities like shooting that you won’t find at other parks. Visitors to Deer Creek State Park can easily turn their day outdoors into a weekend getaway by opting to stay onsite at the campground or lodge. A historic three-bedroom cabin where President Harding once frequented can also be rented for overnight, on weekends or longer. If you’re looking for a state park that offers plenty of outdoor activities and has abundant wildlife for viewing, consider Deer Creek State Park for your next getaway. For more from Tonya find her on Instagram. The most scenic state park in Oklahoma from Niki at Chasing Departures. Lake Thunderbird State Park is located about 15 miles east of Norman, Oklahoma. The park is a popular place to visit year-round for all kinds of outdoor activities. Last time I stopped by it was the perfect day for fishing as all the fish seemed to be jumping out of the water. Aside from the jumping fish, there is plenty of other wildlife that can be seen within the park. The state park also has campsites, hiking and biking trails, swimming, canoe and paddleboard rentals, and boat launch ramps. The park even offers hunting for deer and waterfowl during the hunting season in designated locations. Anybody else a fan of the movie Goonies?! I’m fangirling so hard as I envision One-Eyed Willy’s pirate ship floating by. This is THE place where the movie was filmed! If you’re not a fan of Goonies, aside from re-evaluating your life choices, there’s plenty for you to enjoy at Ecola State Park. Spanning nine miles of the scenic Oregon coastline between Seaside and Cannon Beaches, this park offers surfing, hiking, secluded beaches, and tidepools. Enjoy the ocean views and maybe even a herd of elk as you hike along the bluff. While you’re there, don’t miss out on hiking the six mile Tillamook Head Trail, surfing at the secluded Indian Beach, whale watching in winter and spring, and photographing the abandoned lighthouse. Who knows? Maybe you’ll even find some hidden treasure while you’re there. Have you ever heard of a Dark Sky Park? This park was named Pennsylvania’s very first due to the exceptional stargazing and nearly non-existent light pollution. Cherry Springs State Park draws visitors hoping for a glimpse of the Milky Way, planets and more! Find a spot in the Overnight Astronomy Observation Field, sit back, and enjoy the views. Twice per year, the park hosts a star party which draws astronomy lovers from around the world. During the daytime, visitors can explore the 85 miles of backpacking, hiking and snowmobiling trails or the 15 mile single-track mountain biking trail. Cherry Springs State Park is surrounded by the expansive Susquehannock State Forest and the trails traverse between the parks. For a unique experience, try visiting in August for the annual Woodsmen Show. Thousands of visitors come to the area to watch lumberjacks compete in axe throwing, log rolling and tree felling among other contests. 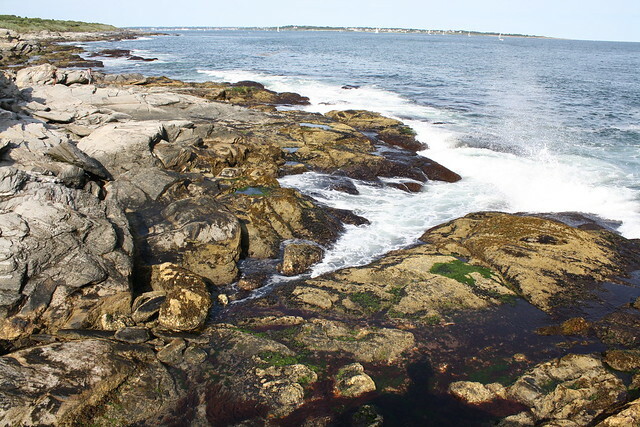 Snag views of the gorgeous New England coastline and a taste of history at Beavertail State Park. The park is said to have some of the best saltwater fishing in the area. But, visitors can also enjoy hiking, tidepooling and more! Starting in 1749, the land on which the park now sits was home to the Beavertail Lighthouse which was the preeminent lighthouse in the state. However, this original wooden structure burned down and was eventually replaced with the current granite lighthouse in the mid 1800’s. The lighthouse has played a key role in both the American Revolution and World War 2. Named for the large rock structure that rests on the top of the Blue Ridge Escarpment, Caesars Head State Park offers mountainous terrain for hikers looking for a bit of a challenge. The park has more than 60 miles of trails. Among the most popular is the Raven Cliff Falls trail which is a four mile round trip hike with epic views of the 420 foot tall Raven Cliff Falls. Experience the falls from a different perspective on a 6.6 mile round trip hike that takes you to a suspension bridge above the creek at the top of the falls. For three months each year, hawks migrate through the park. Visit in September through November for a chance to experience this event! For more info, check out Hawk Watch. The most scenic state park in South Dakota from Leona at Wandermust Family. 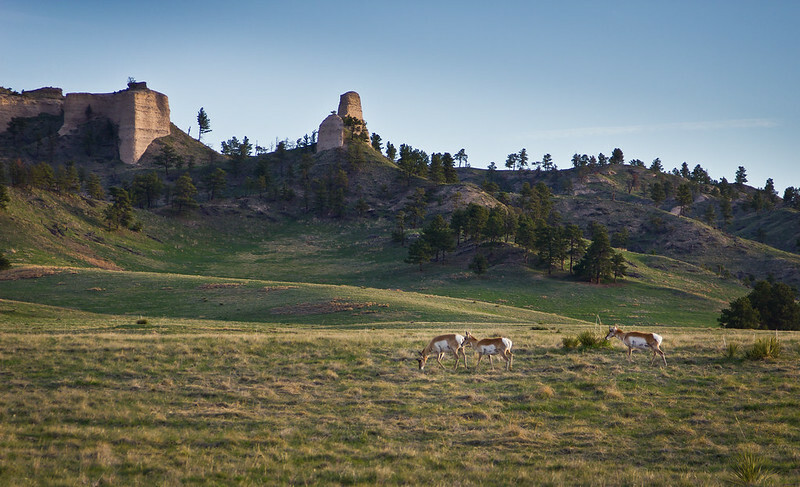 Anywhere else in the US, Custer State Park would be a National Park! It is one of the best parks we have been to in the world and has something for everyone. For motoring enthusiasts you can drive through the spectacular Needles Highway – one of the world’s most scenic drives. Be sure to arrive at the park as early as possible as much of the drive is only wide enough for one car. The road can get congested, especially on public holidays and peak season weekends. We also recommend the Peter Norbeck Scenic Byway and the park’s Wildlife Loop! These two absolutely stunning drives offer many opportunities to view the park’s amazing wildlife, such as bison, deer and -my daughter’s favorite – the curious and obviously well-fed donkeys! Again, it’s best to view wildlife early in the day or at dusk so why not consider staying at the onsite lodge? That way you can make the most of your time! For more from Leona find her on Instagram. 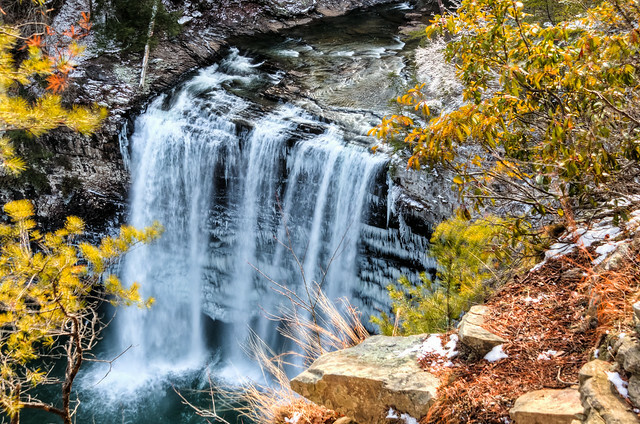 It’s not surprising that Fall Creek Falls State Park is the most visited in Tennessee. The park is packed with cascades, gorges, streams, waterfalls, lakes and hiking trails! While you’re there be sure to see the park’s namesake, which is also the highest free-fall waterfall (256 feet) in the eastern US. Hikers can explore 56 miles of both short and long distance hiking trails, including some backcountry camping sites. Another way to experience the park is on the canopy challenge course. This high ropes course includes zip lines, rope swings, and more! The most scenic state park in Texas from Erin at Sol Salute. West Texas looks like the Texas everyone who has ever seen a Western film thinks Texas should look like. The desert landscape is the most beautiful stretch of land in the state. You’ll drive for miles with the Chihuahua Desert to your right and the lush, green oasis of the Rio Grande to your left. Big Bend Ranch State Park, located only miles from Big Bend National Park, is isolated, but worth the effort it takes to get there. The highway that cuts through the park, known as “The River Road,” is said to be the most scenic drive in Texas. The road and the park hug the Rio Grande along the “Big Bend” of the river. There are picnic areas located throughout the park and plenty of hiking trails. I recommend visiting when the weather is cooler to fully enjoy the desert hikes. Winter holidays are the most popular time to visit, but spring and fall would also be lovely. For more from Erin find her on Instagram. The most scenic state park in Utah from Kristie at World is Wide. About half-way between Canyonlands and Capitol Reef National Parks in Utah is one of the most unusual state parks you’ll ever find. Goblin Valley State Park makes you feel like you are walking on Mars! Small and large rocks pop out of the ground like, well, goblins, forming a scene that is unique, fun, and beautiful. While there are a few short hiking loops in the park, you also have free rein to wander, climb and explore on these other-worldly rock formations. Needless to say, this is an especially fun place for kids! If you want to make it a full day of fun and exploring in this remote area, Little Wild Bill Canyon is just down the road. It is a fantastic hiking area with two different slot canyons to explore. After spending time in this area, you will find yourself even more in awe of Utah’s red rock country! For more from Kristie find her on Facebook. The most scenic state park in Vermont from Retha at Roaming Nanny. Hidden along route 30 in Southern Vermont between Brattleboro and Manchester is Jamaica State Park. With over 772 protected acres of forest, there is so much to do and explore. The onsite campground has 41 tent sites and RV sites, along with 18 lean-tos. Several times each year the U.S. Army Corps. of Engineers do water releases of the Ball Mountain Dam. The releases make perfect conditions for whitewater kayaking, canoeing, and rafting on the West River that runs through the park. Along the river, runs the rail trail that was once traveled by the West Mountain Railroad. It is great for an easy hike or bike with the family. All along the river, there are plenty of picnic areas to stop and enjoy the scenery. Just off the rail trail is an uphill trail that leads to Hamilton Fall, which is just off of the State Park property. At 125 feet tall, Hamilton Fall is one of Vermont’s tallest waterfalls. This waterfall has several pools tempting hikers on a hot day. However, the waterfall has claimed several lives and it is not recommended that you enter the pools for your own safety. Through the Spring, Summer, and Fall there are several events held in the park including the West River Trail Run which allows runners or teams of 3 to experience the forest along the river both in and out of the park. Park Rangers also host nature programs throughout the season at the nature center. For more from Retha find her on Instagram. With more than 700 named climbing routes, Grayson Highlands State Park is said to be the best bouldering site in the entire state. There are seven primary bouldering fields of various sizes. All the essential gear is available to rent or purchase at the park, including crash pads, chalk, and chalk bags. 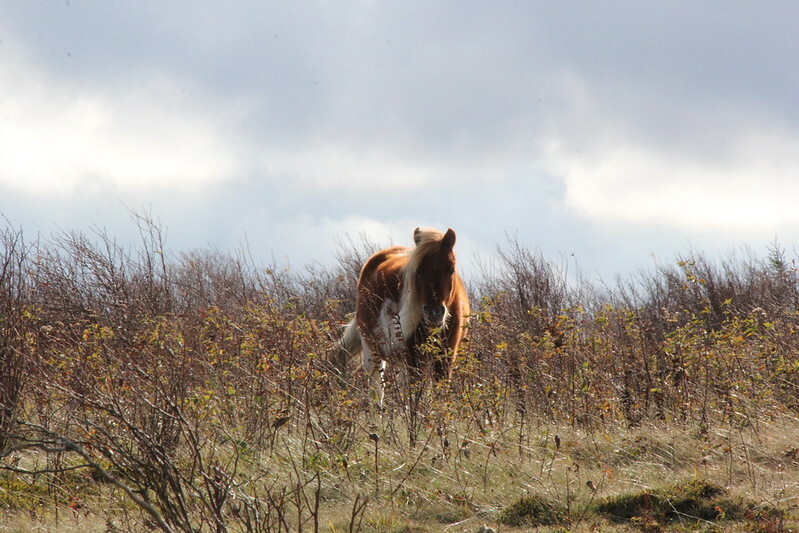 But don’t worry if bouldering isn’t your thing, Grayson Highlands has so much more to offer! The park is situated between Virginia’s two highest peaks, Mount Rogers and Whitetop Mountain, with elevations over 5000 feet. There’s year-round access to the Appalachian Trail, including a nearly three mile stretch that runs right through the park. Hikers can expect to see waterfalls, breathtaking mountain views and even wild ponies on the trails. In winter, the hiking trails transform into crosscountry skiing and snowshoeing trails. Rentals for both are available in the park. If you prefer to take to the water, there are ten miles of trout streams and guided canoe trips on the New River. 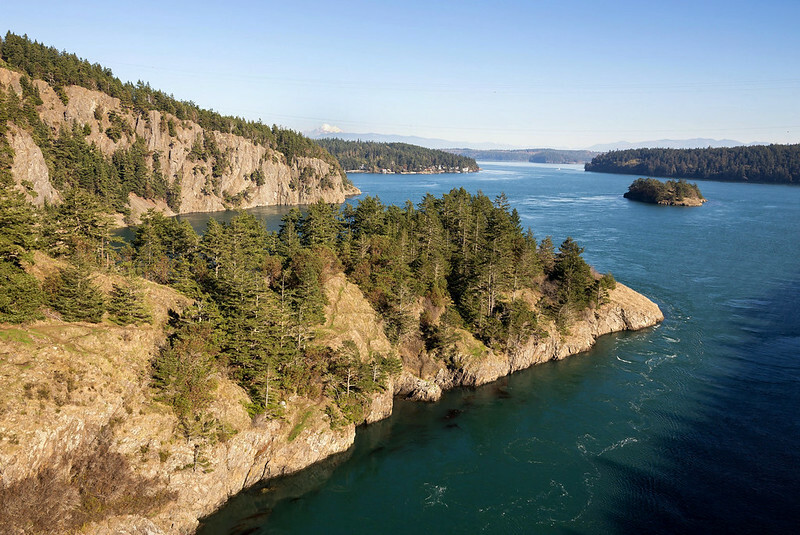 What can’t you do at Deception Pass State Park? Extending from the mainland onto two islands, connected by the Canoe Pass and Deception Pass bridges, this park includes adventures on both land and sea. After a long day of adventures, make your way to the Deception Pass bridge to capture the unbelievable sunset view. From dramatic cliffs to pristine beaches, it’s no wonder this is Washington’s most visited state park. Ok, so the falls aren’t really black, but they do have an amber tint from the nearby hemlock trees and red spruce needles. This 57 foot waterfall may be the park’s namesake but it’s not the only waterfall accessible in the park. Visitors can also visit Elakala Falls, which is one of the most photographed sites in West Virginia. Other popular photography spots include Lindy Point and Pendleton Point Overlook. Each spring, Blackwater Falls State Park serves as the starting point for wildflower and birding pilgrimages into the surrounding areas. This is a unique way to welcome in spring with the blooming of wildflowers at these higher elevations. The 20 miles of trails transform from biking and hiking in the warmer months to crosscountry skiing and snowshoeing in winter. Winter equipment, including toboggans, is available to rent (with lessons!). The most scenic state park in Wisconsin from Miranda at Miranda Knudtson Blog. Though I may be slightly biased as to why I feel Devil’s Lake State Park is the best in Wisconsin (aka my meet up with the author behind This Big Wild World herself! ), there are so many other reasons this is the best state park in Wisconsin. The view of Devil’s Lake itself is absolutely gorgeous regardless of the season (even winter!). It’s also the largest state park in Wisconsin and offers over 29 miles of hiking trails perfect for any hiking level, including the iconic Ice Age Trail. Come for a day trip to hike or go rock climbing, or camp there for a long, fun weekend of hiking, boating, swimming, and fishing! A visit in the winter is still possible with snowshoeing, cross country skiing, and hiking through the beautiful fluffy snow! For more from Miranda find her on Facebook. I feel like Wyoming is an often overlooked state and Glendo State Park exemplifies many of the reasons why! From mountains to beaches and rich Native American history, there’s truly something for everyone. For adventure seekers, this is some of the best mountain biking in the state with 45 miles of single-track trails. Hiking, waterskiing, fishing (including ice fishing) and fat tire biking are all popular activities in the park. After all, the park is nearly exactly split in half between land and water. For those seeking relaxation, the park’s mile-long beach is the perfect place to lounge, read or enjoy the sunset. One of the more unique things to do at Glendo State Park is to see the tipi rings and other Native American artifacts. Tipi rings are stones, often in circles, that once held down the animal hides used on the outside of teepees and other structures. Be sure to take some time to learn about the Arapaho, Cheyenne, Oglala, and Brule Sioux tribes while you’re there! So, there you have it. The most scenic state park in each and every of the 50 US states. Have I convinced you that they’re not so dull after all? Honestly, I am amazed and how beautiful this country is and the endless adventures it offers around every corner. Which state park do you want to visit first? Have I missed a state park that you think should be on this list? Let me know in the comments below! A roadtrip through the USA, focusing on the National Parks is my absolute travel dream! This post has made me want it even more… the photos are just incredible! Oh I love this idea. National Parks get all the attention, but some state parks are even nicer. Totally agree on your pick for Washington. Deception Pass State Park is one of my favourites.